18 Jan 2019 --- Last year’s announcement by the European Commission that several single-use plastic products will be banned has highlighted the need for alternative, more sustainable options. In this space, Omnes, a Greek non-profit, voluntary association is producing and marketing a single-use wheat straw that is 100 percent natural and compostable. The move may even help lift the economy of a region struck by the financial crisis and help with the integration of 700 Syrian refugees. Greece uses roughly 75 million straws per year and that is only counting the Greek population. 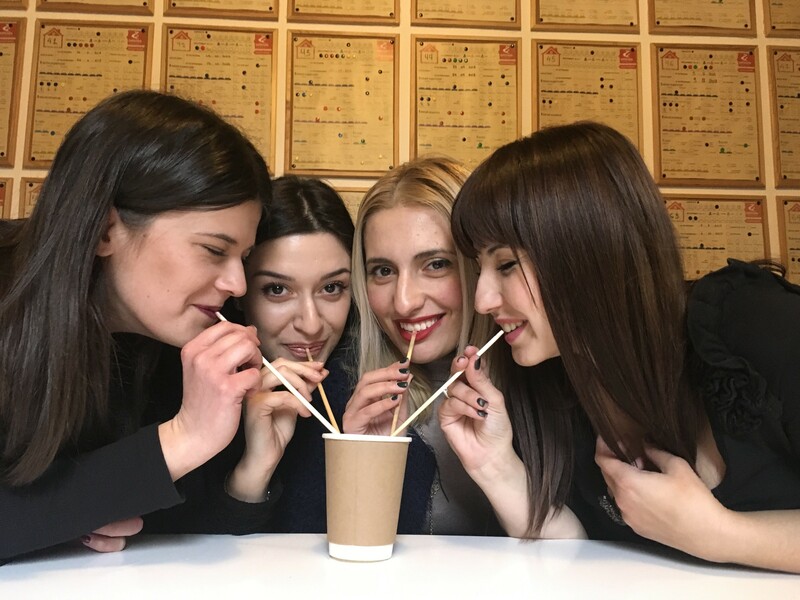 “If you add the 30 million tourists we receive per year, the number of straws used reaches monumental proportions,” Omnes Co-Founder and President Stefanos Kamperis tells PackagingInsights. “The unique point of our straw is that Earth is the machine producing it,” he explains. On January 1, 2018 the Greek government implemented an Eco-Tax of €0.04 for every plastic bag. Then last summer, the Greek Association of Alcoholic Drinks Distributors (ENEAP) decided to gradually abolish plastic straws and beverage stirrers as part of a broader commitment to reduce its environmental footprint. Greek coffee-culture includes the daily consumption of up to three cups of chilled coffee, especially during the Spring and Summer months. Almost all chilled coffees in Greece are consumed using a plastic straw. Kamperis believes that the wheat straw Omnes produces, coined Staramaki, is a more sustainable alternative to the traditional plastic format. The cost of the product is not significantly different from that of similar straws already in the market, according to Omnes.“The market research that Omnes has made is based upon what is being offered already globally. Drinking straws like this one can be found within the European market costing around €0.04 each,” Omnes notes. As far as Staramaki’s sustainability is concerned, Kamperis says that it is a “no-brainer.” “It is basically a plant. It is easily compostable in any household. It will not litter and it does not promote the ‘throwaway’ culture. If used properly it will not burden nature in any way. The land will eventually absorb it,” he says. Omnes is based in the area of Kilkis, a mostly rural region that the financial crisis has affected in more ways than one. It is one of the biggest regions of wheat production in Greece and Omnes is collaborating with the Agricultural Association of Kilkis that controls roughly 15 thousand sq meters of wheat growing land. 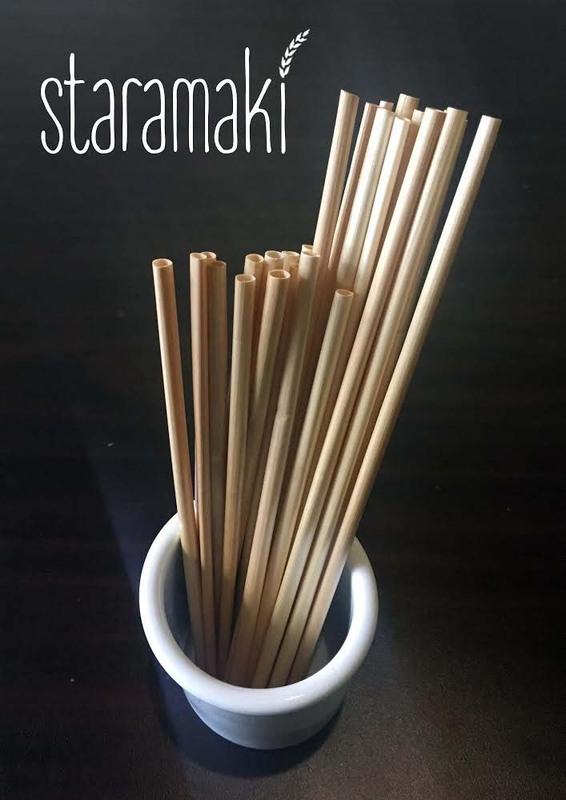 “We thought of Staramaki as an alternative to the current agricultural output and it seems to benefit from the European legislation that bans single-use plastics around Europe. We came up with the idea because we are really interested in maintaining an economy in the area,” notes Kamperis. “The area has problems maintaining its existing population. So we are trying to find ways of actually being able to provide an efficient, beneficial agricultural model and invite newcomers if they would like to join us,” he adds. The straw does not require a lot of processing. 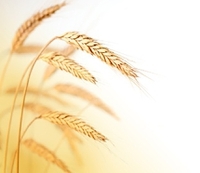 The wheat stem simply requires cutting and sterilization. No chemicals are used to treat it, or any sort of coating that may alter the plant, according to Kamperis. “When we crop the wheat, we use what is left to enrich the ground, make mulch for mushroom crops or even use as livestock feed. This means Staramaki’s production process is 100 percent sustainable and compostable,” he adds. The straw does not necessarily need to be recycled. One may use it multiple times, and the option of recycling the straws may require more processing than the original production. “Recycling, washing and reusing the Staramaki straw at an industrial level would result in a waste of energy. It would require machines and energy, when we can simply dispose of the straws, or let them biodegrade like any vegetable would and simply produce another one with the next crop,” Kamperis explains. Aside from its sustainability and environmentally friendly aspects, Staramaki is a product that targets a cause nobler than profit. “We hope to win over a part of the market because Staramaki will appeal to people with an environmental as well as a social conscience,” Kamperis says. He explains that all Staramaki profits will go towards building social housing. Omnes hopes to build individual housing for the refugee families they are hosting under a UN High Commissioner for Refugees (UNHCR) project and for people in need such as recovering drug addicts and ex-convicts. “The profits out of all this effort are going to be used towards building social housing. So the innovative part of this idea is that whatever profit is made out of this environmental cause will be turned into another, social cause,” says Kamperis. By providing social housing which doesn't exist currently in Greece, Omnes is trying to structure a model that will benefit the local economy and population, according to Kamperis. Omnes plans to launch its first product range in 2019 and will first target the Greek market, before expanding Europe-wide. Staramaki is one of several sustainable products that Omnes has lined up. “We hope to be able to support and offer jobs to the 30 or 40 refugee families and then those of natives participating in the project,” Kamperis says. Omnes is set to launch a line of sustainable, wheat-made plates and cups by 2020 and is currently collaborating with the Technical Institute of Fashion and Textiles in Kilkis to create organic, sustainable clothing. “We plan to create the first Greek line of organic baby clothes. We are trying to connect with the agricultural sector to focus on more sustainable crops such as organic cotton or hemp and for those to be made into textile and then a clothing line. An ethical approach to manufacturing, if you like,” Kamperis says. “We hope to never see plastics on a Greek beach again,” he concludes. France has already banned all single-use plastics across the country and several countries in the EU are putting taxes on plastic bags with the Netherlands and Greece being the most recent. The need for sustainability is increasing and environmentally friendly solutions now seem imperative.